Rather than using an off-the-shelf pattern, we have designed our own drop-through mount for maximum compatibility. 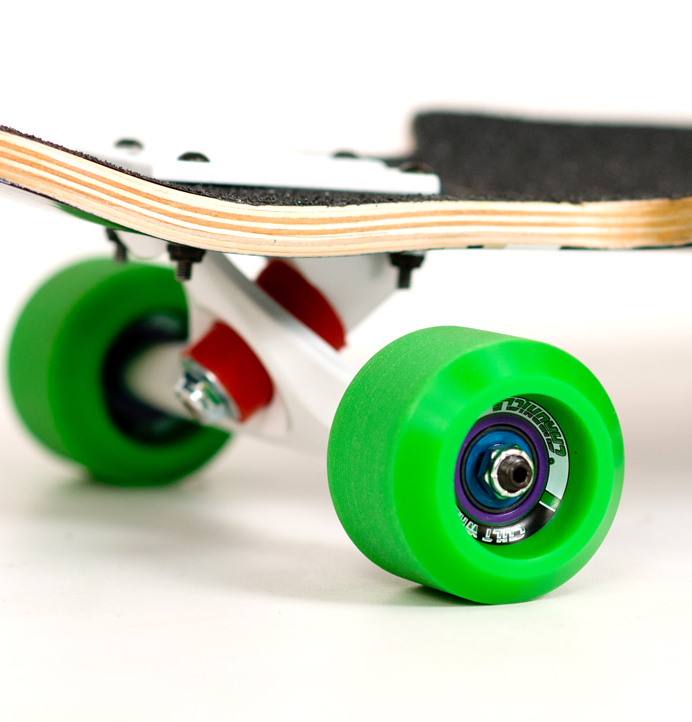 With certain trucks, you have 20mm of adjustment at each of the the deck, giving you 40mm of variation in your wheelbase and THREE possible lengths. *We have not tested these trucks ourselves – but based on manufactuer’s descriptions they should fit accordingly. Get in touch if you own these trucks and have contrary information! We get a lot of questions about drop-through trucks. 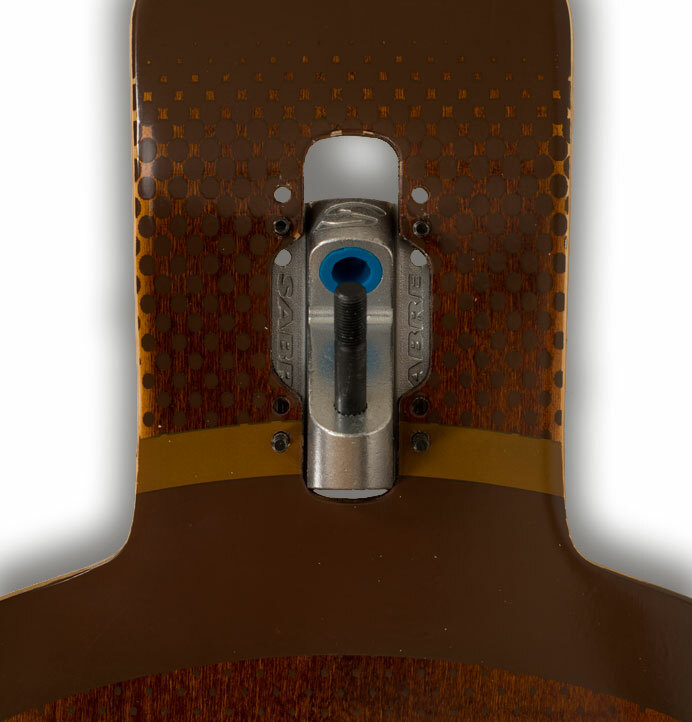 Believe it or not, we were the first longboard company in the world to make a commercially available drop-through speedboard way back in 2000 with the first Spooky, and the legendary Kilima that followed it in 2004 was the first non-race board to feature this system. Greater stability at speed thanks to a lower centre of gravity. 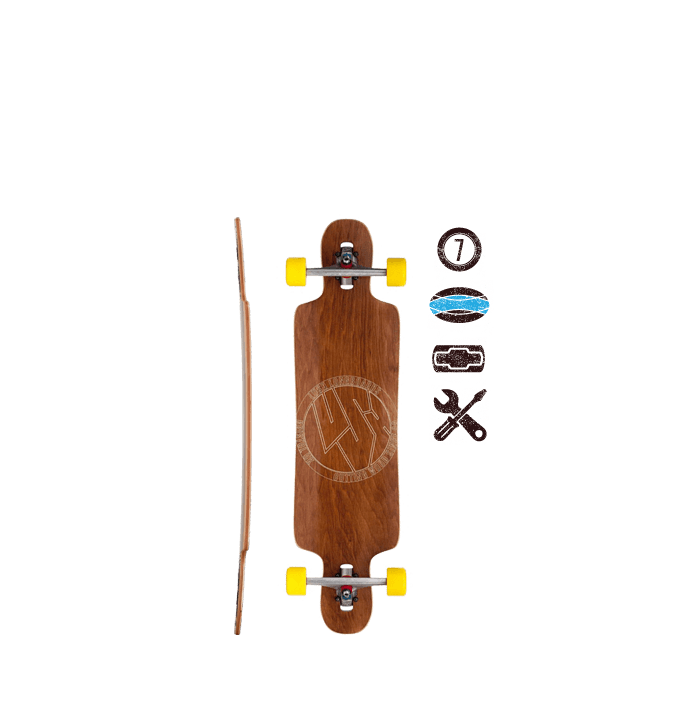 Lower deck makes footbraking and pushing easier. Less grip when cornering, though you need to be right on the limit to feel it! Less leverage on the trucks gives less turn. Try running higher angle trucks, 45 -50 degrees. 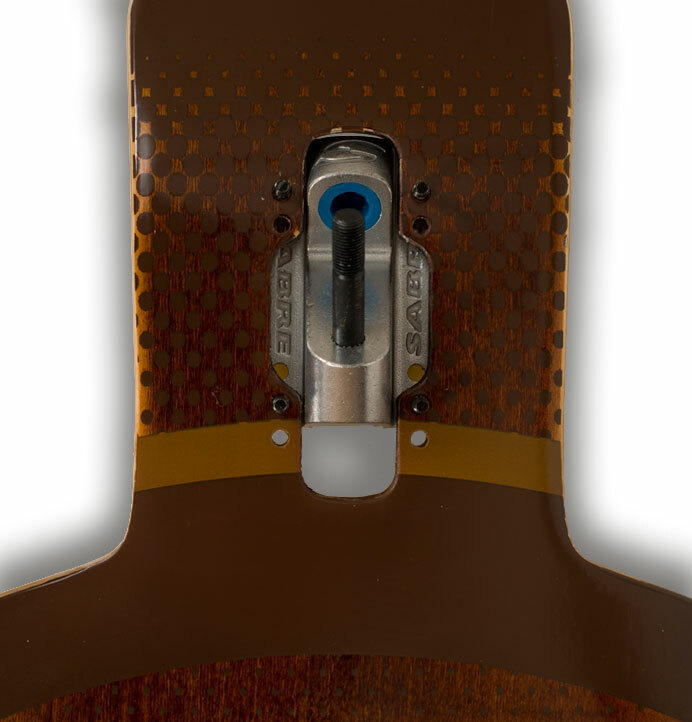 We recommend that you start with a drop-through for your first speedboard, as you’ll find it more stable, and easier to control your speed with footbraking, predrifts and slides. 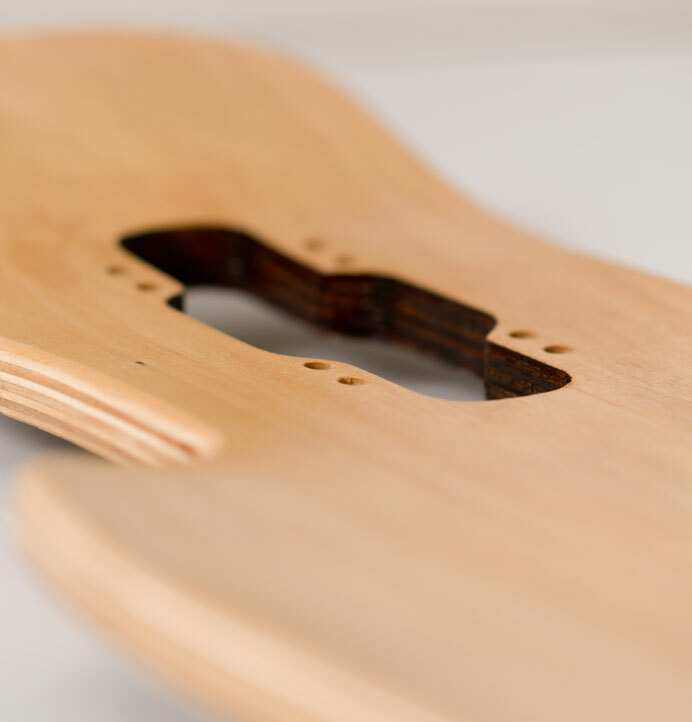 Plenty of World-Class Racers skate drop-through’s, but if you want a little more grip and that surfy feeling, you can always switch to a topmount after a year or two learning the trade.